CORRECTION: PLEASE NOTE THIS IS INFACT THE XC90. 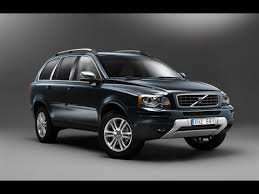 Volvo XC90 2.4 D5  ES 5dr Geartronic - Save £12,305 off the list price - so a huge 33% off - at Drivethedeal.com. I agree there is a new XC90 model on the horizon in 2015, but still this is a great price (an XC90 for XC60 model prices!). According to Whatcar depreciation values - the car will be worth more than this after 1 year. Not sure how the new model will affect this. There is a new xc60 now out so is this the model before? When you click the deal link it goes to an XC60 offer page. This is the old model, as the newer one doesn't have an ES spec level or an engine rated at 200. The new model will effect the prices of trading and selling the older ones. The prices lines up with the offer on the XC90, however the link brings you to the XC60, need to correct the link I think. The XC90 has been discounted for some time although I think this is a lower price than previous for the ES. OK it's an older design but it's a lot of car for the money, especially when you see what you can spend on the likes of a new Golf these days, heat added. Now that the correct link has been added it's clear that this deal is for the XC90 current model, but still geting cold votes I see. For all of thoses voting cold I assume you're doing so because you know it can be bought cheaper elsewhere. If that is the case then please post a link, I'd be very interested to see it. Good price for a car of this size and quality. This is a good price for a great family car. Why the cold votes? So no one can post a current cheaper price for a new one, yet it gets cold votes. Now that the correct link has been added it's clear that this deal is for … Now that the correct link has been added it's clear that this deal is for the XC90 current model, but still geting cold votes I see.For all of thoses voting cold I assume you're doing so because you know it can be bought cheaper elsewhere.If that is the case then please post a link, I'd be very interested to see it.